The mission of the ASMB is to promote basic, translational, and clinical research on the extracellular matrix (ECM), cell-ECM interactions, and ECM-based therapies and devices, and to support the growth and professional development of the ECM research community. The ASMB will accomplish this mission by promoting interactions among academia, scientific societies, industry, and government; facilitating dissemination of relevant knowledge and new findings; providing mentoring opportunities to junior scientists; and advocating sustained funding for research and education. 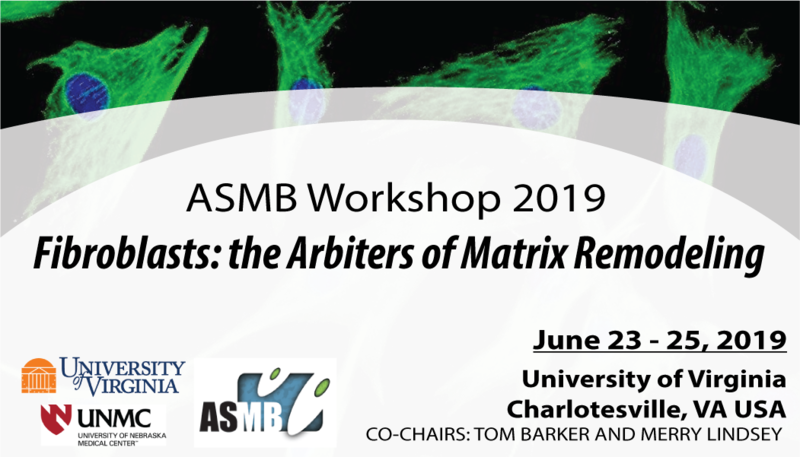 ASMB is offering TWO workshops this summer. Registration and abstract submission are now open for both. 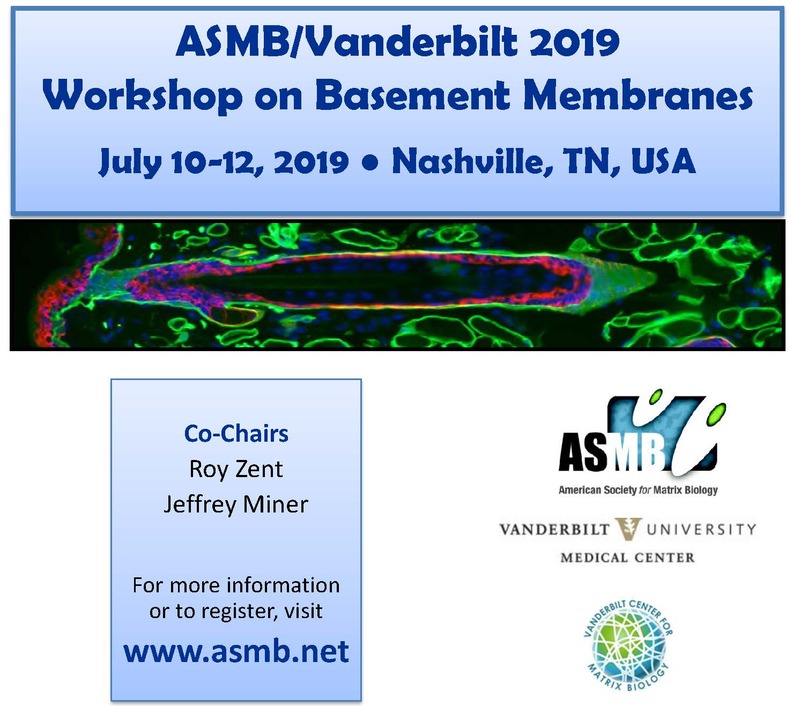 The ASMB Workshop "Fibroblasts: The Arbiters of Extracellular Matrix Remodeling" will be held June 23-25 at the University of Virginia in Charlottesville, VA and the "ASMB/Vanderbilt Workshop on Basement Membranes" will be held July 10-12 at Vanderbilt University Medical Center in Nashville, TN. For more information about both events visit the ASMB meeting page of this website. 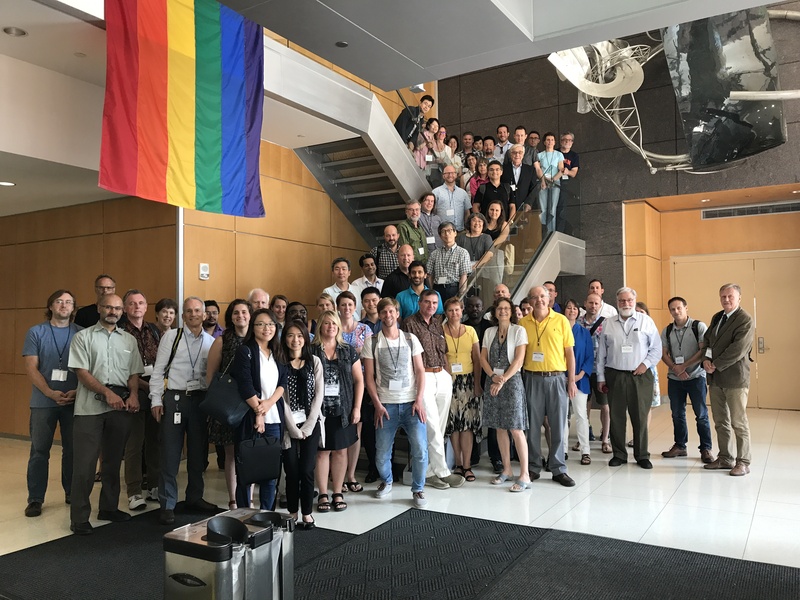 Join more than eleven hundred professionals in the field of extracellular matrix science world-wide, as a member of the American Society of Matrix Biology. Membership is open to individuals who have educational, research, clinical, and/or patient advocacy roles in the field of extracellular matrix biology or an allied field and to other interested members of the public. Members receive meeting and journal discounts as well as networking and mentoring opportunities. Members are also eligible for a robust award program and opportunities to present research at international events. For past issues, click here.